We have a team that can cover all of your landscaping needs, from block paving your driveway, to building you a new patio area, or completely re-designing your garden we have it covered. We have worked on various projects in Nuneaton, Coventry, Bedworth, Hinckley, Atherstone, and all surrounding areas in Warwickshire & the Midlands. 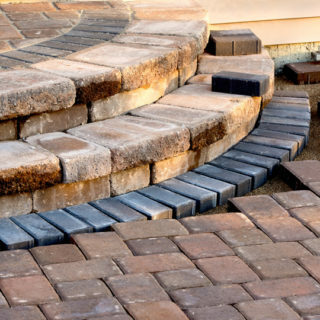 With our landscape team you will receive a first class service at a highly affordable rate. All of our services are individually tailored to suit the customer. Our landscaping team caters for private, residential, and commercial clients. We always achieve the highest level of service. Before we start each service we perform a survey and send a written quotation based on the job that needs to be done – you will never get unexpected fees from us! Plus, our landscape services offer many more benefits you can enjoy. Contact us for a competitive no obligation quote.